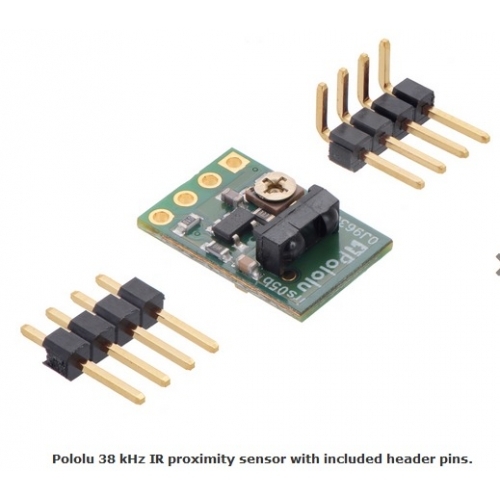 These sensor modules are based on Vishay’s TSSP77038 modulated infrared receivers. 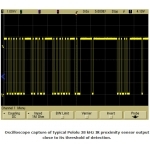 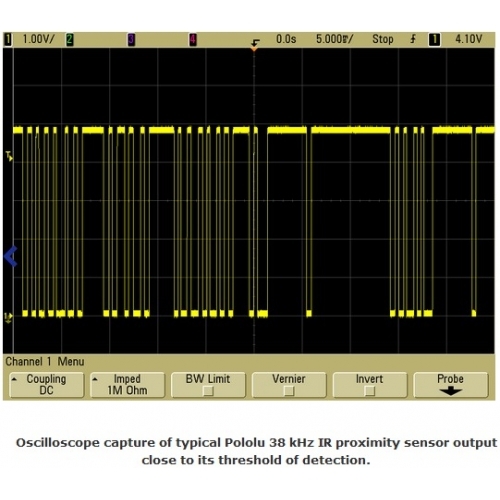 Unlike most IR receiver modules designed for remote control of appliances like televisions, the TSSP77038 has a fixed gain (sensitivity) that makes the sensor more predictable when used in proximity or reflectance sensors. 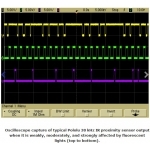 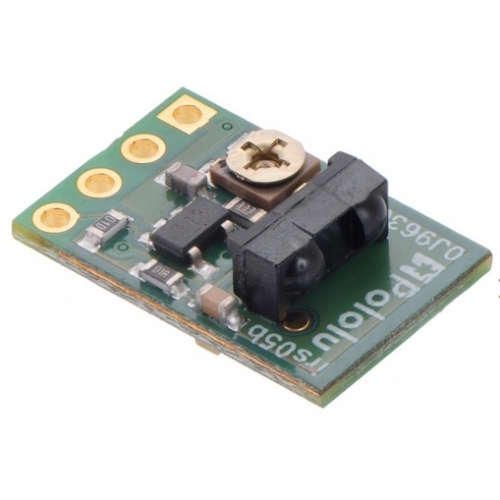 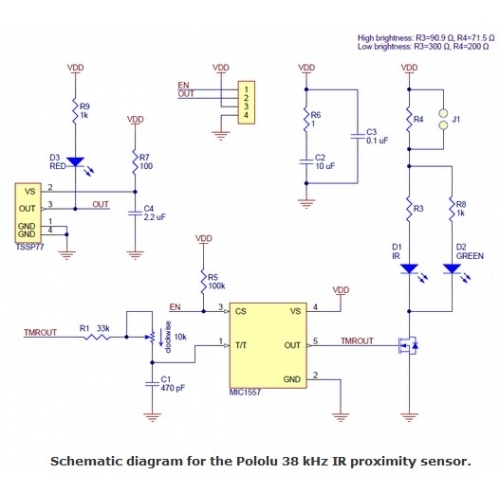 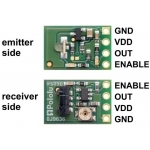 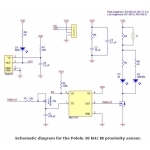 The Pololu carrier module combines the TSSP77038 with an IR LED driven by a 555 timer-based circuit to make a complete sensor module that requires only a 3.3 V to 5 V power connection. 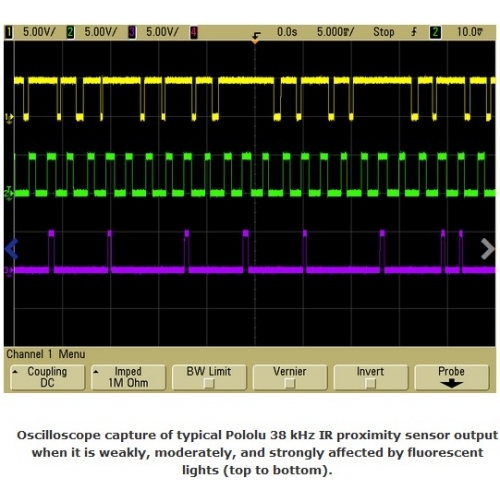 An enable input allows control of whether or not the IR LED is on, and a digital output indicates whether or not an object is detected.